Edward WANTON (1632 – 1716) was Alex’s 9th great grandfather, one of 1,024 in this generation of the Miner line. He was a prominent Boston shipbuilder who converted to Quakerism and moved to Scituate, Massachusetts in 1661. 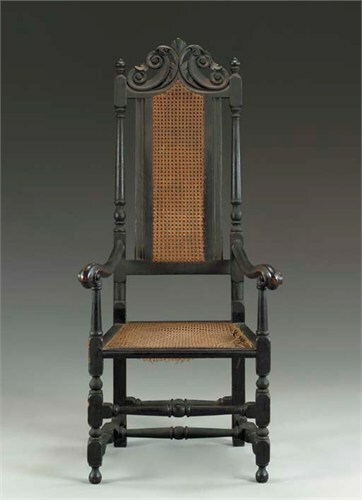 The Wanton family, known as the Fighting Quakers was among the most prominent and public minded of colonial families, and includes numerous governors and public officials. Edward Wanton was born about 1632 in England. His parents may have been Valentine WANTON and Margaret CROMWELL. He emigrated from London to Boston about the year 1658. He was probably married in England and his first wife died in 1660 or 1661. He married second Elizabeth [__?__] in 1663 in Scituate, Mass. He married Margaret [__?__] in 1677. Two of his sons, one nephew and one grandson become Governors of Rhode Island. Edward died 16 Dec 1716 in Sciuate, Mass. Little information is known about Elizabeth and Margaret. 29 Jan 1689/90 ‎8 Mar 1754 Scituate, Mass. 4. 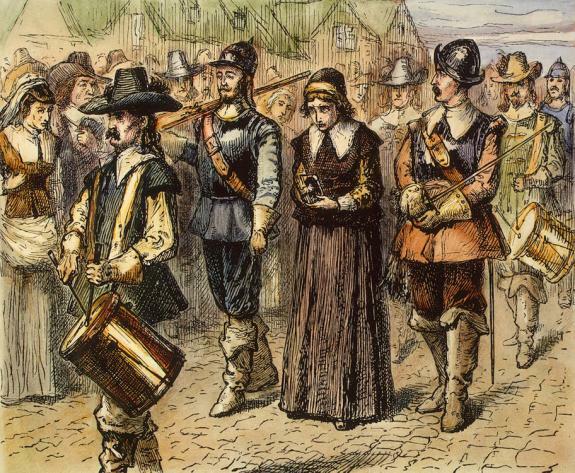 Elizabeth WANTON 16 Sep 1668 in Scituate John SCOTT Jr.
1 Jun 1691 Plymouth, Mass. c. 1696 5 July 1740 Newport, RI. 10 Sep 1705 Sandwich, Mass. Edward was in Boston before 1658 : tradition says he came from London ; and further, that his mother came with him; but of his father we have neither record nor tradition. Richard SCOTT’s future son in law, Christopher Holder landed in Boston, aboard the Speedwell.. He and seven other passengers were listed with a “Q” (for Quaker) beside their names, because at that time, the Puritans in England and in the English colonies were persecuting Quakers, members of the Religious Society of Friends. While they were still in the jail, Mary Dyer and Anne Burden, two other Friends, arrived in another ship and were arrested on the spot. Mary bravely went forward and was hung; her neck snapped and her lifeless body dangled in the wind. Dyer’s dress billowed with the breeze. A weeping bystander remarked: “She hangs there as a flag for others to take example by.”And yet, amidst the persecution and death, a new life flourished. Edward WANTON, an officer placed under the gallows to protect the structure was “so affected at the sight” of Mary’s courageous sacrifice “he became a convert to the cause of the Friends [Quakers].” Three years later Wanton was arrested in Boston for holding a Quaker meeting in his home. He was probably married before he left England. In Boston were born to him Edward 1658, Margaret 1660, and their mother also deceased 1660-1. After his removal to Scituate, one of the Ministers, of his sect visited him, having recently came from England, and took an opportunity to recommend to him a woman of his acquaintance in England for a second wife. Proposals were accordingly sent in writing, and she came in compliance therewith. Her name was Elizabeth. They were married 1663, and had children, Joseph born 1664, George 1666, Elizabeth 1668, William 1670, John 1672, Sarah and Margaret 1674, Hannah 1677, Michael 1679, Stephen 1682, Philip 1686. “Alas, Mother! we have been murdering the Lord’s people,” and taking off his sword, put it by, with a solemn vow never to wear it again. From this time he conversed, on every opportunity, with the Friends, and soon resolved to become a public teacher of their faith. In Scituate 1661, he purchased a farm of 80 acres, of William Parker, at the well known shipyard, a little below Dwelley’s creek in Scituate, Mass. He had also extensive lands on Cordwood hill: and also south-west of Hooppole hill, which latter were sold to Nathaniel Brooks 1723. The house of Edward Wanton stood near the bank of the river, on the land that is now improved as a shipyard, and on the spot occupied by the smaller Workhouse. Here he conducted the business of shipbuilding with great success. Wanton Yard was on the old Wanton estate, located on the Scituate side of North River. The old yard was later divided by a wall, thus making two yards, which were used separately during the 1700’s and the early part of the 1800’s. . Edward Wanton began ship-building here, probably, as early as 1670, and vessels have been recorded as having been built by him as late as 1707. In 1661, he purchased a farm of eighty acres of William Parker, in Scituate, a little below Till’s, or Dwelley’s Creek, where the river sweeps so grandly through the upland. Here lie conducted the business of ship-building. His house stood near the bank of the river, on land afterward improved as part of the ship-yard, and where was located one of the workhouses in 1830. The Pembroke Friends Meetinghouse is an historic Quaker church at Washington Street and Schoosett Street in Pembroke, Massachusetts. The meeting house was built in 1706 by Robert Barker with later 19th-century additions. It is the oldest Quaker meetinghouse in Massachusetts and the third oldest in the United States. This meetinghouse was used by local Quakers from 1706 until 1874 when the meetinghouse was closed and the Quaker meeting was moved to the Sandwich Meeting. 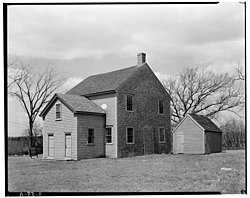 Today the Meetinghouse is owned by the Pembroke Historical Society and is used during the summer months by area Quakers. Edward Wanton died Oct. 16, 1716, aged 85, and was buried on his own plantation, on a rise of ground below the shipyard. Some of his and several of the Rogers family were buried here later, and the land probably belongs to their descendants ; and though it has been trespassed upon by vandals, in times past, we hope some action may be taken by the town, ere long, to protect it hereafter. Members of the Wanton family are also buried in the “Old First Parish Cemetery,” opposite Schoolhouse, District No. G.
with him. Robert Barker was son of Robert and ancestor of tho Pembroke family of Barkers. 1692, sloop. “BLACKTHORNS,” 30 tons, Capt. Holland; owner, Benjamin Gallop. 1694, sloop. “HOPEWELL,”40 tons, Capt, Joseph Vickars; owner, Benjamin Gallop, Boston. 1694, bark “MARTHA & ELIZABETH,” 70 tons. Owners, Robert Howard, Giles Dyer, Merchants, William Evcrton, Benjamin Gallop, William Wai I is and Florence Maccarty, of Boston. Also in 1694 brig’t’n “MARTHA nnd ELIZABETH,” 70 tons, Copt. Jobn Ilnlscy. Owners, Robert Howard, William Everton, Benjamin Gallop, William Wallis, Giles Dyer and Florence Maccarty, Boston. In 1698, sip., afterwards brig’t’n “BENJAMIN,” 20 tons, Capt. William Cole. Owner Benjamin Gallop of Boston. In 1699 sloop. “UNITY,” 30 tons, built at Scituate, Benjamin Gallop of Boston, owner. Also the same year, 1699), sloop “DOVE,” 100 tons. Owners, Capt. John Ptillen, John Foster, Robert Howard, William Kvcrton, John Hobby and Benjamin Gallop, all of Boston. Also the same year 1699, sloop. “HOPEWELL,” 30 tons, built at Scituate. Owners, Richard Claton of St. Christopher, merchant, Richard Shute, Andrew Belcher, and Mary Edward, widow, of Boston, James Sawyer, Gloucester, and Edward Wanton of Scituate. Capt. Richard Shnie. Robert Barker built in company with Edward Wanton, commencing about 1700, when they built tho brig’t’n ” SARAH & ISABELLA,” 50 tons. Owners, Capt. Thomas Tomlin, Robert Wing, William Tilly of Boston, Edward Wanton and Robert Barker of Scituate. The same year, 1700, sloop.. ” MARY,” 20 tons, Capt. Joshua Cornish. Owners, Benjamin Gallop, Thomas Thornton, Boston, and Edward Wanton and See Scituate Harbor Yards. Robert Barker of Scituate. In 1701 sloop. “MARGARET,” 20 tons, Capt. Benjamin Thaxter. Owner, Benjamin Gallop. Also the same year 1701, sloop. “HOPEWELL,” 30 tons, Capt. Jonathan Ilender. Owners, Benjamin Gallop, Benjamin Alford, Adam Winthrop, Florence MacCarty and .lamos Barry, all of Boston. In 1702 the brig’t’n ” ADVENTURE,” CO tons, Capt. John Ilalsey. Owners, Benjamin Gallop and John Devine. also the same year, 1702, sloop. “EXPENDITURE,” 40 tons, Capt. Edward Lloyd. Owners, Thomas Peterson and Daniel Zachary, of Boston, and Edward Wanton and Robert Barker of Scituate. In 1705 brig’t’n “ENDEAVOR,” 80 tons, built at Scituate. Owner, Benjamin Gallop of Boston. In 1706 sloop. “HOPEWELL,” 20 tons, built at Scituate. Owner, Benj. Gallop of Boston. In 1707 brig’t’n “ADVENTURE,” 50 tons, built at Scitunte. Owner, Benj. Gallop, of Boston. Also the same year 1707, sip. “MARY,” 20 tons, built at Soilitate. Owners, Tobias Oakman and Joseph Tilden of Marshliold and Edward Wanton of Scituate. Many of these vessels were built for privateers and used as such during the French War. Nothing has been found relative to the vessels built later by the Wantons as most of the records of ship building for over sixty years following are missing. The above therefore is only a partial list of vessels built at this yard during the early times. Edward Wanton like many well-to-do citizens of his day kept slaves and in following the history of Wanton, them is found one slave that gave him much trouble, by continually running away. First, in an old paper there appears the following: ” Ran away from his master Edward Wanton of Scituate ship carpenter the 2nd of this inst. September. A mulatto man Servant named Daniel Servant 19 years of age pretty tall, speaks good English, thick curled Hair, with bush behind, if not. lately cut off’, Black hat, cotton and linen shirt. He had with him two coals onu a homespun dyed coat, thu other a great, coat dy’d and muddy color, striped homespun jacket Kersey Breeches, gray stockings, French fall shoes. Who so ever shall take up said Runaway servant and him safely convey to his above said Master at Scituate or give any true intelligence of him so as his Master shall have him again, shall have satisfaction to Content beside all necessary charges paid.”—Boston News Letter, Sept. 22. 1712. From the following, it appears that he ran away two years later from Edward Wanton’s son-in-law, John Scott: Ran away from his Master, John Scott, the 17th of this instant August. A mulatto man named Daniel formerly belonging to Edward Wanton of Scituate ; he is indifferent, tall and slender, by trade a shipwright but ’tis thought designs for Sea. Who so over shall stop, take etc., and bring him or give notice of him to his master at Newport, R. I. shall bo well rewarded and reasonable charges paid.”— Boston News Letter, August 23rd, 1714. He held a distinguished place amongst the enterprising settlers of the Town. Of his success as a religious teacher we have spoken elsewhere, (see Ecclesiastical History). He remained firm and active to an advanced age. His last visit to Newport as a representative from the quarterly to the yearly meeting was in 1716, when he was fourscore and five years old, and he deceased soon after his return, Oct. 16th, 1716, and was buried on his own plantation, a few rods north-east of his house. ” To daughter Elizabeth Scot a mulatto boy called Daniel, if he be found, he being now run away. To sons Joseph, William and John, all my lands at Pennsylvania, with all my money in the hands of Edward Shipin. To grandson William, (son of William) one third of the sloop that Tobias Oakman goeth master of. Deano gives some interesting and amusing anecdotes about the Wanton’s, in his “History of Scituate,” to which the reader is referred. Edward left quite a family. William and John were invited to Court, in England, in 1702, and Queen Anne granted an addition to their coat-of-arms, and presented to each ti silver punch-bowl and salver for their daring and meaningful capture of pirate and French vessels in 1714—17. Undoubtedly, the vessels the Wantons used in their captures were built by their father, on the North River. Edward’s wife Mary Phillips origins are not known. Joseph’s wife Sarah Freeborn was born 14 Jan 1666 in Newport, Newport, Rhode Island. Her parents were Gideon Freeborn and Sarah Brownell. Sarah grandfather William Freeborn signed the Portsmouth Compact, becoming a founder of Portsmouth in the Rhode Island colony. Sarah died 10 Jul 1759 in Tiverton, Newport, Rhode Island. Joseph Wanton was a shipbuilder in Tiverton. Both Joseph and Sarah were Quakers and both were public speakers within the denomination and tradition speaks of their benevolence and charities..
Joseph removed to Tiverton in 1688, and was a shipbuilder at “the narrows, or gut.” The ministers who came later to Scituate undid much of the teaching of Edward Wanton, and few, if any of the Quaker sect are now left, there. He married Sarah 9 Nov 1689. He deceased March 3d. 1754, at the age of 90. He had several children, of whom we will name Mary, the wife of Thomas Richardson, many years Treasurer and Receiver General of Rhode Island. Her daughter, Sarah Richardson, was wife of Thomas Robinson of Newport, and remembered for great accomplishments of person and mind. Joseph’s third son Gideon Wanton (wiki) (20 Oct 1693 – 12 Sep 1767) was a governor of the Colony of Rhode Island and Providence Plantations who served for two separate one-year terms. 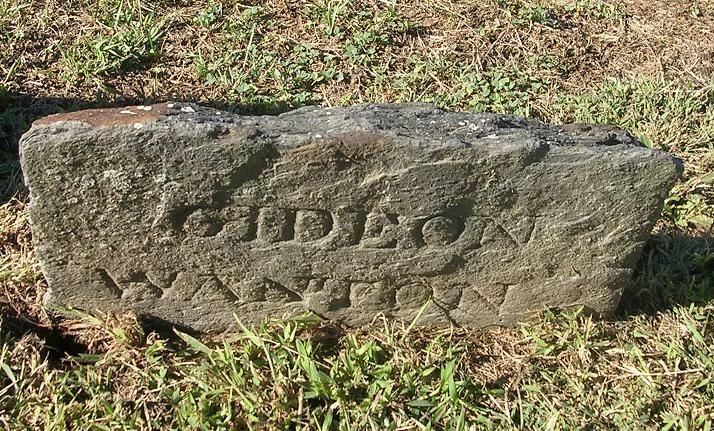 Gideon was admitted as a freeman to Newport in 1718, and had an active business life. Being fiscally minded, he was elected to the office of general treasurer in 1733, to which office he continued until 1744. While he was treasurer, his uncle William Wanton was the governor of the colony and his uncle John Wanton was the deputy governor. A big controversy existed in the colony at the time on whether to use paper currency or hard currency (coin). Wanton was an advocate of paper currency, and as treasurer he issued 264,000 pounds in bills of credit. In 1745 and again in 1747, Wanton was elected as the governor of the colony, each time for a one-year term. During his two short terms the British were fighting the French, and a good part of the war was being carried out in the American colonies. The Wantons were Quakers, who generally abrogated war, but John Bartlett, the editor of the Rhode Island Colonial Records wrote, “although Mr. Wanton was a Quaker, he was a belligerent one, and fully equal to the emergency…” Most of the dealings of his two administrations concerned military and naval affairs such as raising troops, equipping privateers, and supplying war materiel. Following his terms in office, Wanton kept active mostly in his dealings within the Friends (Quaker) society. He died on 12 Sep 1767, and was buried in the Friends’ Burial Ground, sometimes called Governor’s Cemetery, on Tilden Street in Newport. William’s first wife Ruth Bryant was born 16 Aug 1673 in Scituate, Plymouth, Massachusetts. Her parents were John Bryant and Mary Hiland. Ruth died 10 Apr 1717 in Newport, Newport, Rhode Island. In 1717, at the age of 46, he married a second time to 15-year old Mary Godfrey (b. 23 March 1702), the daughter of John Godfrey and Elizabeth Carr, and granddaughter of Governor Caleb Carr. There were no known children by this marriage. Long after his death, his widow married in 1745 Daniel Updike. The fame of this exploit reached England, and when the two Wantons went to England in 1702, they were invited to Court, and Queen Anne granted an addition to their family coat of arms, and presented each with two pieces of plate, with proper devices, viz. a silver punch bowl and salver. These pieces of plate are said to have been stolen from their houses at Newport, during the raging of the mobs in the political contest of Hopkins and Ward. 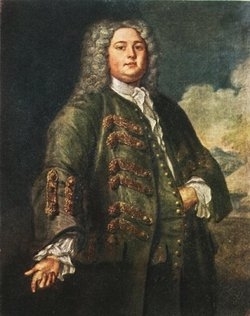 In all but two years from 1705 to 1732, Wanton was either a deputy or an assistant, and for many of those years he was the Speaker of the House of Deputies. From 1705 to 1709 he was the Major for the island of Aquidneck, and from 1719 to 1720 he was Colonel of the island’s militia regiment. Wanton commanded a sloop that he used to chase privateers, and in 1709 the General Assembly voted to buy his new sloop Diamond for 400 pounds, and also buy another sloop of which he was partial owner. In 1726 he was one of four commissioners from the Rhode Island colony selected to meet with commissioners from Connecticut to settle the boundary line between the two colonies. iv. George Wanton b. 24 Aug 1694 in Scituate, Plymouth, Mass. William ‘s seventh child Joseph Wanton (1705-1780) was a merchant from Newport, Rhode Island and Governor of Rhode Island from 1769 to 1775 and a Loyalist. Though William was of a Quaker background, Ruth was a Presbyterian, and as a compromise, her children were raised in the Anglican faith. Not wanting to go to war with Britain, he has been branded as a Loyalist, but he remained neutral during the war, and he and his property were not disturbed. Joseph graduated from Harvard in 1751 and then, following his family interests, he also became a successful merchant of the area. Joseph Wanton was the master aboard the King of Prussia, a privateer during the French and Indian War, that was captured by the French in 1758 with a cargo gold dust, rum, and 54 slaves, Many such privateers out of Newport were actually running in the slave trade. Wanton served as Governor of Rhode Island from 1769 to 1775 when he was removed for his failure to swear a loyalty oath to the patriot cause. As governor, he oversaw the prosecution of the 1772 Gaspee Affair. Wanton was buried in the Golden Hill Cemetery in 1780. 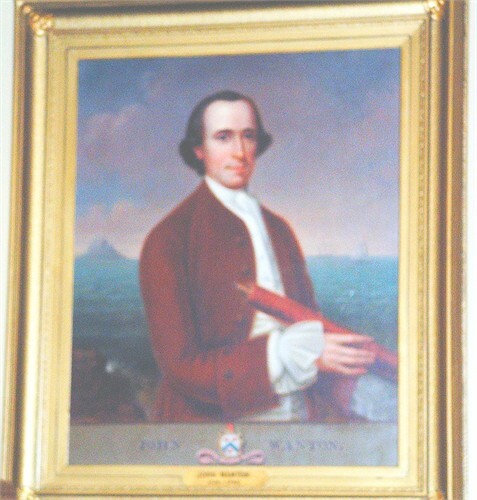 Wanton’s son, Joseph Wanton, Jr. served as deputy governor of Rhode Island in 1764 and 1767. Joseph Wanton is pictured in the 1755 painting by John Greenwood, “Sea Captains Carousing in Surinam” along with Stephen Hopkins. 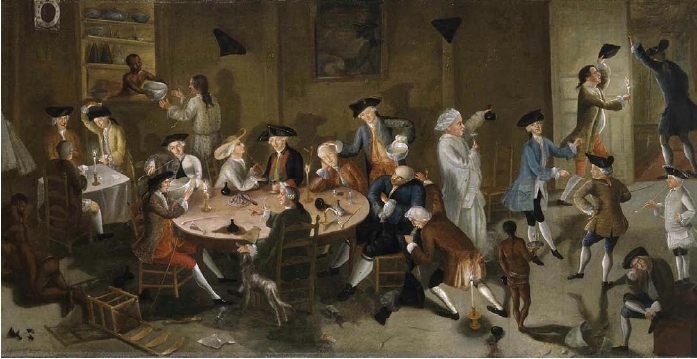 Joseph Wanton (being doused with punch and vomit) and other Rhode Island merchants The artist included various notable Rhode Islanders, including Nicholas Cooke, Esek Hopkins, Stephen Hopkins, (all seated at the table): in “Sea Captains Carousing in Surinam,” a 1755 painting, the oringinal of “Dogs Playing Poker” genre. Surinam (Suriname) was a Dutch colony on the North coast of South America known for its slave plantations. It was a predominant trading destination for Rhode Island merchants during the 18th century who exchanged lumber, horses, rum, and African slaves for sugar, coffee, and cocoa in what is known as the Triangular Trade. Wikipedia says In the mid 1750s, the Boston portraitist, John Greenwood, followed a group of sea captains and merchants to Surinam on the northeast coast of South America. The trading usually took time, so the men often waited in pubs. Being commissioned by the merchants to create a satirical painting, Greenwood concocted a 22-figure tavern scene, showing himself among the affluent traders, all subject to the “intoxicating effects of alcohol and economic ambition.” Most accounts agree that Wanton is the bald man slumped in a chair by the table, being doused with a pitcher of rum, by one account, or of punch and vomit, by other accounts. As a merchant, Wanton was involved in the maritime trade of a variety of goods. During the first half of the 18th century the slave trade was booming in Newport, and from 1708 to 1755 the population of black slaves in the colony burgeoned from 220 to nearly 4700. In 1758 Wanton declared that he had sailed the Snow King of Prussia with a cargo of 124 hogsheads of rum and 54 slaves. While at anchor along the African coast, he and his cargo were captured by a French cruiser. In 1765 Wanton became one of the founders of the new college in Rhode Island, called the College in the English Colony of Rhode Island and Providence Plantations, and later named Brown University. He is named as an original “corporator,” and as an original trustee of the college. With no known civic background, Wanton was elected as governor of the colony in 1769, and served for six years. With the Revolutionary War on the horizon, he was involved with a large array of issues and incidents, most notably the Gaspee Affair in 1772, where he played an important role in thwarting the crown from finding the members of the group of colonists that boarded and burned the royal schooner Gaspee. The formation of the Continental Congress took place during his administration, and he was in continuous communication with governors of other colonies. He also became a founder and trustee of the new college in the Rhode Island colony, eventually named Brown University. As the Revolutionary War approached, members of the General Assembly were getting very hawkish, and when Wanton was elected for the seventh time in 1775, he refused to agree to the raising of an army of 1500 men, and would not commission new officers. He also would not immediately take the oath of office, and for these reasons the Assembly refused to seat him as Governor, and formally removed him from office a few months later, with Nicholas Cooke taking his place. While he was not overtly Loyalist, he did not see a war with Great Britain to be in the interest of the colony. He retired to his home in Newport where he was undisturbed during the war, and died before its conclusion, in 1780. In March 1772, the people of the colony were harassed by his Majesty’s schooner Gaspee, with eight guns, stationed in the Narragansett Bay to enforce the revenue acts. The commander, Lieutenant William Dudingston, had engaged in a number of annoyances upon vessels in the bay, detaining them without pretext, stopping market boats, and sometimes plundering the people ashore. He violated the charter of the colony by acting without showing his commission. The inhabitants of Providence complained to Deputy Governor Darius Sessions, who consulted with Chief Justice Stephen Hopkins, who offered the opinion “that no commander of any vessel has a right to use any authority in the body of the colony, without previously applying to the governor, and showing his warrant for so doing, and also being sworn to a due exercise of his office.”. Sessions then communicated the complaints, with Hopkins’ opinion, to Wanton, who immediately sent a letter to the commanding officer requiring him to produce his commission and instructions. The next day, Dudingston sent an arrogant reply, to which Wanton replied directly, repeating his demand, and assuring Dudingston of safety in coming to shore. Dudingston then enclosed the correspondence in a letter to his superior officer, Admiral Montagu, in Boston, who sided with the lieutenant, addressing an extremely insolent letter to Wanton, defending the commander and ridiculing the governor, suggesting that those interfering with the crown’s activities could “hang as pirates.” Wanton then informed Montagu “that I do not receive instructions for the administration of my government from the King’s Admiral stationed in America.” He then presented the chain of correspondence to the General Assembly, and directed that copies of the correspondence be sent to England. Wanton also wrote Lord Hillsborough, complaining of Montagu’s insolence, and detailing the conduct of the Gaspee. On 8 June 1672 the sloop Hannah, coming from New York, arrived in Newport, reported to the custom house, and the next day proceeded up the river. 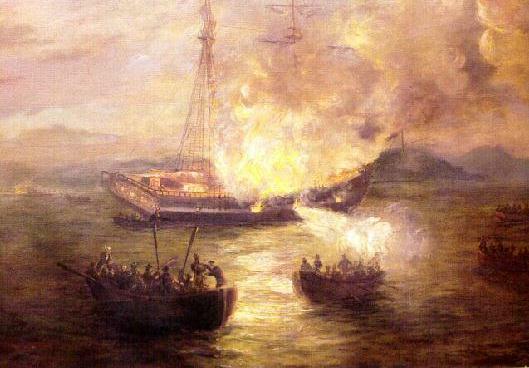 The Gaspee, in its customary fashion, gave chase, but ran aground on Namquit (later called Gaspee Point), near Pawtuxet, and the Hannah escaped to Providence. That evening, by beat of drum, men were called to the house of James Sabin to organize an attack on the Gaspee. John Brown provided eight long-boats of five oars each, and shortly after 10 p.m., the party headed towards the Gaspee, commanded by Captain Abraham Whipple. Well after midnight the party approached the vessel, and when hailed, did not answer the ship’s sentinel. This prompted Dudingston himself to hail, again without answer. A second hail by the commander was then answered with profanity by Whipple, who ordered his men to spring to their oars. Shots were fired in both directions, and a musket ball fired by Joseph Bucklin hit Dudingston in the groin, and as he fell, the attackers boarded the schooner, and took over the vessel. The crew of the schooner was overtaken, bound, and put on shore, while Dudingston was attended to by Dr. John Mawney. A milestone had been reached; this was the first British blood shed in the American War for Independence. 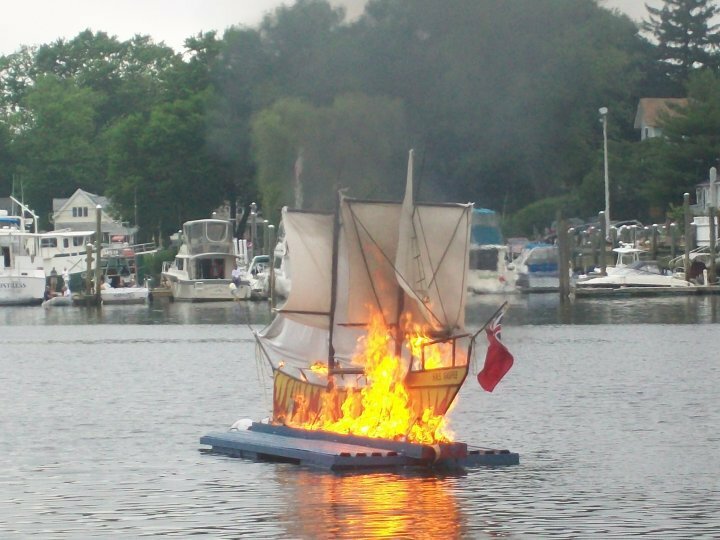 After removing the crew, the captors set fire to the vessel, and then returned to Providence. The Burning of the Gaspée is commemorated every year. A report was sent by a crew member to Montagu, who then forwarded a copy to Wanton with the request to apprehend the offenders. Wanton then issued his proclamation, offering 100 pounds reward for evidence sufficient for conviction of the guilty parties. An active correspondence then ensued between Wanton, the Admiral, and Lieutenant Dudingston, with an account of the event sent to Lord Hillsborough. An escaped slave who was with the expedition gave names of some of the men involved to Admiral Montagu, who then forwarded this deposition to Wanton, requesting that the instigators be questioned. Wanton, instead of obeying the request, took depositions invalidating the testimony of the slave. When news reached England, the King issued a proclamation offering a reward of 1000 pounds each for either of the leaders of the expedition, and 500 pounds for each of the other involved parties. Wanton, along with others from neighboring colonies, was commissioned to inquire into the report upon the facts. The perpetrators of the Gaspee incident were well known, and among the most prominent citizens of the colony. Some of the younger and more rash of the accomplices had openly boasted of the events, while the ship still smoldered off the shore. Wanton and the other Rhode Island leaders were successful in subtly hampering the progress of the investigations, and amid all of the communications, commissions, claims, and counter claims, the court could not obtain enough direct evidence to indict a single person. The American Department consulted the Solicitor and Attorneys General, who investigated and advised the Privy Council on the legal and constitutional options available. The Crown turned to a centuries-old institution of investigation, the Royal Commission of Inquiry. This commission would be made up of the chiefs of the supreme courts of Massachusetts, New York, and New Jersey, the judge of the vice-admiralty of Boston, and the governor of Rhode Island, Joseph Wanton. The Dockyard Act, passed three months earlier in April, allowed those suspected of burning His Majesty’s vessels to be tried in England. But this was not the law that would be used against theGaspée raiders; they would be charged with treason. The task of the commission was to determine against which colonists there was sufficient evidence for their trial in England. The Commission was unable to obtain sufficient evidence and declared their inability to deal with the case. Colonial Whigs were alarmed at the prospect of Americans being sent to England for trial. A Committee of Correspondence was formed in Boston to consult on the crisis. In Virginia, the House of Burgesses was so alarmed that they also formed an inter-colonial committee of correspondence to consult in the crisis with other committees. In Boston, a little-known visiting minister, John Allen, preached a sermon at the Second Baptist Church that utilized the Gaspée affair to warn listeners about greedy monarchs, corrupt judges and conspiracies at high levels in the London government. This sermon was printed seven different times in four colonial cities, becoming one of the most popular pamphlets of Colonial British America. This pamphlet, along with the incendiary rhetoric of numerous colonial newspaper editors, awoke colonial Whigs from a lull of inactivity in 1772, thus inaugurating a series of conflicts that would culminate in the Battles of Lexington and Concord. The city of Warwick, Rhode Island commemorates the Gaspée Affair with Gaspée Days. This festival includes arts and crafts and races, but the highlight is the Gaspée Days parade. 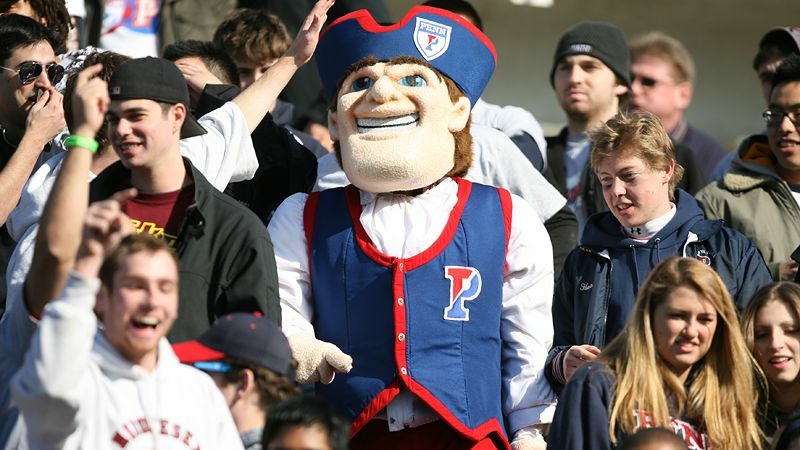 The parade features burning the Gaspée in effigy, a Revolutionary War battle reenactment, Revolutionary War-era fife-and-drum bands, a marching band dressed as period sailors, and local marching bands. John’s wife Mary Stover (Stafford) was born 1664 in York, York, Maine. Her parents were Sylvester Stover and Elizabeth Norton. Mary died 6 Apr 1736 in Scituate, Plymouth, Mass. John was likewise a successful Newport merchant and succeeded William Jr. as Governor from 1734 through 1740. After the death of his brother William, when strong political parties began to agitate the Colony, John was persuaded by his friends to permit himself to be voted for as Governor, with the expectation that he might unite the factions through the influence of his fame for personal bravery, and his credit as the most wealthy citizen of the Colony, for he had been eminently successful in trade. He had indeed renounced his military fame, and embraced the faith of the Quakers as early as 1712, and travelled much as a religious teacher. It was however thought to be a conjuncture, when it became his duty to heal the divisions of the times ; and success attended the plan. He was chosen first in 1734, and re-elected for seven successive years. He died in office, May 5th, 1740, and was laid in the Coddington burying ground, where a marble monument was erected. In one of the years of his administration, there were certain conflicting Indian claims to be settled within the Colony of Connecticut, and the cause was referred to the three Governors of Massachusetts, Connecticut and Rhode Island. At this trial, a question was agitated whether the Sachems should be permitted to speak in their own cause : Counsel contended that they should not, and two of the Board inclining to that opinion, Governor Wanton remarked, that as they had already agreed to admit the testimony of some of the natives, it would be but proper, that their chiefs should be allowed to speak. This sally carried the point; the Sachems were allowed to speak, and the Governor was often heard to express his admiration of the powers of oratory of the Indians. John is described as of middling stature, thin features and fair complexion — remarkable for his gentle attentions to children, many of whom would gather round him to catch his smile in the street, or collect at his door, as he sat in his portico. He resided in a house which he purchased, opposite to that of his brother William. Hannah’s husband Robert Barker was born 1673 in Duxbury, Plymouth, Mass. His parents were Isaac Barker and Judith Prence. His grandparents were Gov. Thomas PRENCE and Appia Quicke. Robert died 6 Sept 1765 in Pembroke, Plymouth, Mass. Michael’s first wife Mary Mew was born 15 Aug 1689. Her parents were Noel Mew and Mary [__?__]. Mary died 22 Jul 1711. Michael settled on his father’s estate in Scituate. His marriage is on the Town Records, “to Mary New of Scituate 1704,” but she was born in Newport. His second wife was Abigail Baker Kean of Pembroke 1716. He succeeded his father as the religious teacher of the Society of Friends, and was a successful propagator of the sect. He was a cotemporary with Rev. Nathaniel Eells of the South Parish in Scituate, and they are said to have lived in more harmony with each other than could be expected from the circumstances, Wanton being fired with the zeal of a new sect, and Eells entertaining contempt for an uneducated ministry. He is said to have been a man of so much meekness and gentleness, that all contention with the Congregationalists was laid aside ; a circumstance which, if it did not contribute to promote at least disarmed opposition and persecution. Michael was contemporary with Thomas Turner, a lawyer of facetious memory, whose scarcasms were often aimed at Wanton, and always received with such undisturbed good humor, that at length they became sincerely attached to each other, though of different temper and different sects. On one occasion, Wanton had been successful in a fishing excursion, and loaded his boat with fine hallibut, and calling, on his return, at the tavern at White’s ferry, and finding an assemblage of gentlemen attending a trial by reference, he caused an entertainment to be prepared of his fish, and invited the whole company to dine. This was done in consequence of a sarcasm of lawyer Turner, who had thus addressed him, ” Friend Wanton, you are like the Apostle Peter. In the first place he was a fisherman, and so are you—he was a preacher, and so are you—he denied his Lord, and so do you.” It was agreed by the company that Wanton had the advantage on this occasion. Stephen’s wife Hannah Allen was born 2 Jun 1688 in Sandwich, Barnstable, Mass. Her parents were Daniel Allen (1663 – 1717) and Bathshua Hoxie (1665 – ). Philip’s wife Hannah Rodman was born 29 Nov 1694 in Newport, Newport, Rhode Island. Her parents were Thomas Rodman (1640 – 1728) and Hannah Clarke (1667 – 1732). Hannah died 10 Jul 1753 in Newport, Newport, Rhode Island. This entry was posted in 11th Generation, Artistic Representation, Dissenter, Immigrant - England, Line - Miner, Sea Captain, Twins, Wikipedia Famous and tagged Fighting Quakers, Pirate Adventure, Scituate, Slave Owner. Bookmark the permalink. Being a direct descendant of Edward ‘Wanton’ I have various miniatures of the ‘Wanton’ governors; however they are spelt ‘Wauton’ as this was the correct spelling of the family name at the time and still is in Great Britain. I would be very interested in hearing if there are any surviving members of the American branch of the family. i am also a direct descendant of Edward Wanton. My grandmother was Hilda Ivy Winifred Wauton – she married my grandfather Carl Frederik Leyel in 1900 in London. Edward Wanton of Scitiate, Mass. was I believe the son of the regicide Valentine Wauton (who signed the death warrant of King Charles 1, together with his brother-in-law Oliver Cromwell). Edward Wanton married his second wife Elizabeth Smith (1617-1686) in 1663 in Pembroke, Plymouth, Mass. Elizabeth was the daughter of John Bland Smith (1572-1668) and Isabella Drake (1579-1639). Of particular interest to me is the coat-of-arms given for Edward Wanton. Could you tell me where this came from? If this is indeed the arms of Edward Wanton then it confirms his lineage as belonging to the Wauton family. The arms given in the Dering Roll (made in the reign of King Edward 1 in the 13th Century) show the arms of William de Wauton as “argent, a chevron sable”. The family was established in Greater Staughton, Huntingdonshire, England. I use coats of arms as a symbol for immigrant ancestor. In most cases, my actual immigrant ancestor did not have a coat of arms at the time, though the Wantons may have been an exception. My paternal ancestor, Thomas Miner wrote back home to England in 1683 and received a totally bogus genealogy about how the Miners helped kings in the 14th C. They told him the correct spelling is MinEr, some of his sons adopted and others remained MinOR, so we are related.